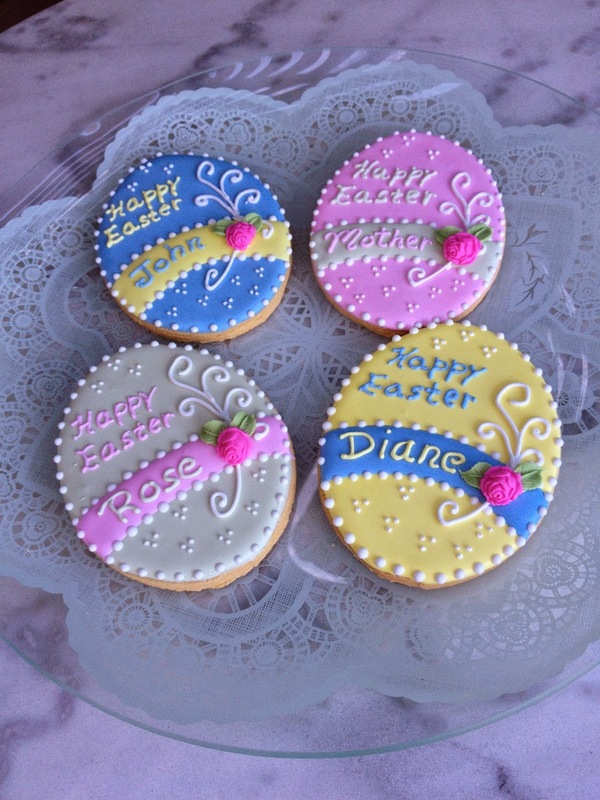 Easter cookies are always fun to make. Such cheerful colors and designs. These were made for a special customer of mine who is giving them to his mother so she can give them out to her friends. Love that!! Happy Easter everyone. Have a sweet day.